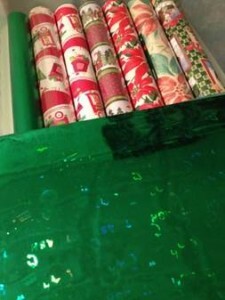 Are looking for an easy and inexpensive way to organize your gift wrap paper and bows? 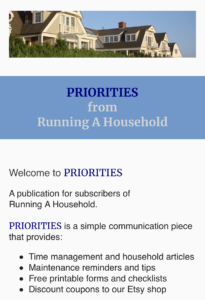 Check out these solutions. 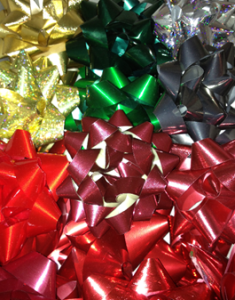 Storing gift bows is relatively easy. For this project, we chose to reuse two deep boxes from a clothing store. 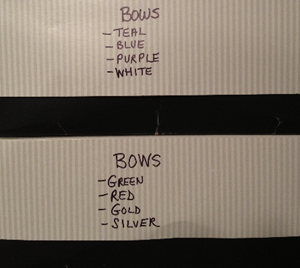 Placing the bows in a box ensures they will not get squished or flattened. Two deep boxes were plenty for storage. It kept us from saving every last bow, yet provided enough bows on hand for birthdays, holidays and special occasions. Two large wrapping paper bins were in order for this project. One stores our holiday rolls of paper and gift bags. The second one has gift bags and wrapping paper for all of the other occasions: birthday, anniversary, new baby, Valentine’s Day etc. Sterilite makes a great 41 quart under the bed storage unit. 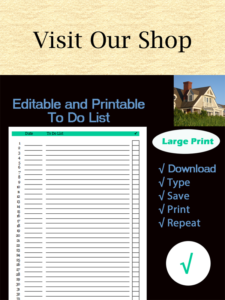 It’s better to buy one at the store, like Walmart or Target. They offer them on-line, but tend to sell them in packages of 6 or 10. That’s why the price seems higher on-line. As far as storage, they can be stacked one on top of the other on a shelf. The holiday one stays on the bottom until November. Since the all-occasion bin is used more often, it stays on top of the holiday bin for easy access. Rather than fold extra-large gift bags, keep them on top of the two gift wrapping bins. They will stay nice and flat, and are easy to access when you need them. This entry was posted in Organization and tagged how to store gift bows, how to store gift wrapping paper, organize gift bows, organize gift wrap paper on July 23, 2013 by Running A Household.